This story does not fall under the category of a ghost hunt, however, it shows that we don’t need to be looking for paranormal or unusual activity in order for it to find us. I denied my initial conclusions after I saw the photos. I wasn’t going to document what I thought had happened, but I started seeing too many signs that convinced me to write this post. I believe the Lady Essex wanted us to hear her story. 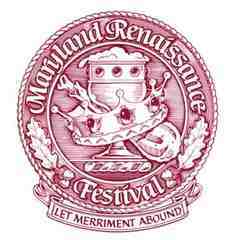 I attended my first Renaissance Festival with my family and I had a wonderful time. 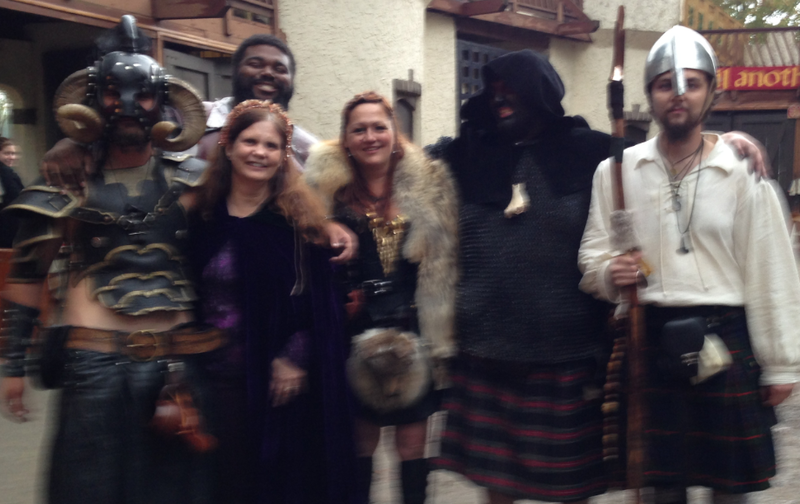 I was able to wear my new cape and I was totally immersed in the role of being in the medieval times. 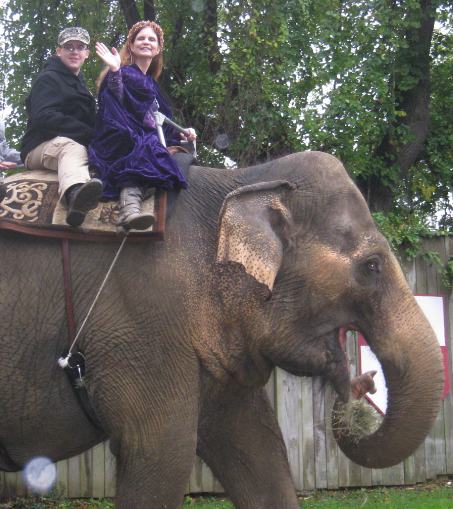 As we toured the Festival, I was surprised to find elephant rides! 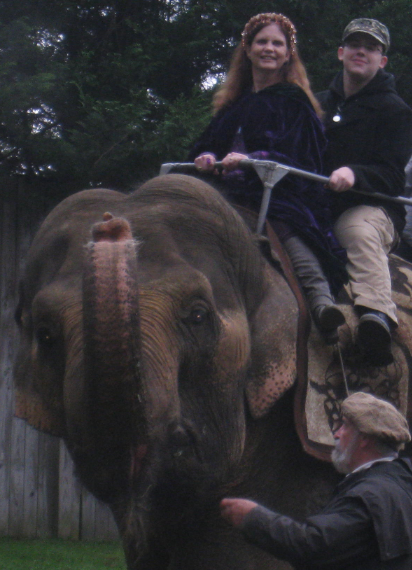 I’ve never ridden an elephant, so this was a unique opportunity. The elephant’s name was Lady Essex. As soon as I was seated on her, I felt an overwhelming sadness. It was almost unbearable. I tried to smile and be happy because I was thrilled with the experience, but it was extremely difficult. I had to fight against the grief because I could sense her emptiness. Elephants, especially female elephants, are herd animals and they form deep family bonds. It has been proven that elephants experience emotions such as grief, joy and anger. Elephants are depressed when they’re not with other elephants. I could feel that Lady Essex was not abused – she was just incredibly lonely for her own kind. Lady Essex turned to give us a wonderful pose! 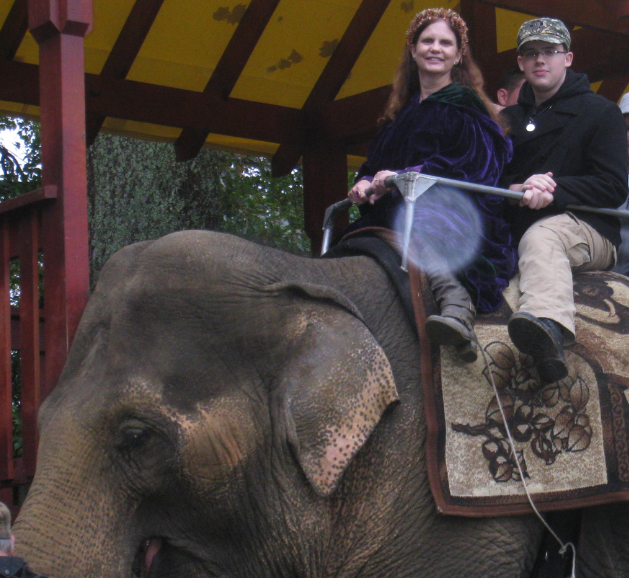 I silently thanked this beautiful Lady for the ride and I told her I was sad because she wasn’t with other elephants. I sent her love and left with mixed feelings about the ride. Later, when I reviewed the photos, there were two pictures with bright Orbs. One huge Orb was right on me. Look at that huge Orb on me! I know it was Lady Essex thanking me for caring and for telling her story. Look at that bright Orb on Lady Essex!